This semi-obscure character was a very early Kirby/Simon creation for Timely Comics, wot would become Marvel Comics. He was seen but once in 1940. But of course, Roy Thomas would bring him back to the modern Marvel Universe (in a 1968 Uncanny X-Men) story. These notes are from the 1990s, but they still hold up fairly well. Known Relatives: King of the Avians (adoptive father, deceased), Dania (daughter). Group Affiliation: The Liberty Legion (former), the Avians. Base Of Operations: The Times Tower, New York City during WWII, Sky-Isle and the Aerie after WWII. Height: 6’ Weight: 180 lbs. Age: Around 80. Red Raven is a normal human raised in utopian environment with superior technology. As a result, he is stronger, faster, and more agile than normal humans are. And possibly longer-lived. The Red Raven is adept in basic hand-to-hand combat techniques uniquely styled to make use of the advantage of flight and has also been known to carry a gun of Avian design, or a medieval mace. He wears a suit with giant wings and anti-gravity devices. It provides him with extra protection and allows him to fly. His original wings resembled a bat’s. They were made of a membranous metal that could be concealed under a traditional 1940 business suit with nothing to hint at their presence. Later he adopted metallic wings that mimicked the feathered appearance of the bird-men’s wings. These wings are made of a durable metal that can deflect bullets and some concussive force. Thus, they are often used as shields. They could be used as a battering ram and also had the ability to shoot concussive blasts from the wingtips. The idea of the Red Raven goes back as far as 134 BC to Chinese mythology where the Red Raven represents the sun. In this mythology, the sun is masculine or Yang energy, also represented by odd numbers. When the human race was still in its infancy, the highly advanced alien Kree selectively evolved a small portion of the human population into a race of genetically engineered weapons. After the aliens left, these Inhumans isolated themselves from the genetically inferior humanity, and evolved into a myriad of strange forms over the centuries. 3000 years ago, a race of winged Inhumans appeared in the island of Attilan, then located on the ocean. They were arrogant, considering themselves superior to the other Inhumans. They left Attilan to live in a floating island, the Sky-Isle, which was suspended by advanced Inhuman technology above the Inhuman city-state of Attilan and anchored to it by a long pylon. Hostilities grew between the two peoples, as the Winged Ones usually dumped their garbage in Attilan. An unbridgeable rift developed between the two sects of the population. Thus, Attilan and the Sky-Isle would be forever divorced in their fates when the Attilaneans separated themselves from the floating island by breaking the anchor-pylon. Eventually, a race of bat-winged Aerians developed among them, and was regarded with prejudice. War erupted between feathered Avians and bat-winged Aerians, who were slaughtered by king Kylus. Cheiros, a red winged leader, preached for peace and was martyred. Over time, the flying Inhumans stabilized their genetic deviations. Where the Inhumans could evolve all forms of unique and sometimes grotesque bodies, all Avians had compatible biology. Hatched from eggs, growing to appear as normal humans, save for large, feathery wings. On a stormy night in the mid-1920s, a clipper plane making one of the earliest trans-Atlantic flights disappeared into a dense cloud bank, never to be seen by humans again. While it was thought that the plane had crashed into the ocean, it had in fact collided with Sky-Isle. Everyone on the plane died, save for one lucky youth that the natives decided to raise as one of their own. Inspecting the wreckage a group of Avians found the boy and brought him before their king. While some among the bird-men wanted to kill the young human for fear he may one day destroy them, the king took pity on the young one, and raised him as his own son to become Aerie’s redeemer. The boy was outfitted with red artificial bat wings in honor of Cheiros that allowed him to fly. Because of his flaming-red hair, they named him after the mythical Red Raven of the sun. Donning an unassuming suit, the Red Raven came to a major metropolis during the Great Depression. He saw food lines and unemployed, bitter men. Finding organized crime to be one of the roots of this problem, he set out to trap the mob-bosses with their own greed. The evil mobster Zeelmo attempted to bribe the Red Raven into working for him, but the incorruptible Red Raven resisted. Angry, Zeelmo threw the unassuming man into a pit along with a hapless young woman named Andreva that had also offended him. Zeelmo filled the pit with “aging gas” causing the pair to hit middle-age and then senility within a matter of minutes. Fortunately, they were able to joke about their dire situation. Undaunted, the Red Raven revealed his true self. He spread his artificial wings, tearing his ill-fitting human clothing. He then freed himself, and Andreva. Once free, the effects of the gas wore off, but Zeelmo was hurled into the pit, which the Red Raven then firebombed. With one mob-boss gone, the Red Raven set out to stop the next in line for Zeelmo’s empire, Ratoga. With the help of the Royal Scientist, the Red Raven lured the gold-hungry mobsters into a trap using Avian technology as the bait. Red Raven used that technology to trap Ratoga and his men with their own gold, ready and waiting for the Police. On one occasion, while flying, he happened upon a German plane flying high over Pennsylvania, and decided to do something about it. Upon boarding the plane, a dastardly Nazi knocked him unconscious with a blow to the head. But Red Raven was rescued by the Thin Man, another hero changed during a chance encounter with a hidden civilization. Together they turned the tables on the villains who had downed the Red Raven. Once these Germans were dealt with, the two heroes then responded together to a call for help from Bucky. Their goal was to stop the Invaders who were under the mental control of the Red Skull. After several battles up and down the east coast, the Liberty Legion finally cornered and freed the Invaders. After this encounter, the Liberty Legion continued as heroes who fought internal troubles, while the Invaders battled evil abroad. After the Second World War ended, Red Raven returned to the Sky-Isle a changed man. He was much wiser about the ways of the outside world. However, he discovered that the warrior class, called the Bloodraven Cult, was rallying the Avians for a war against the surface world. They planned to attack and conquer the human race while it was still weary from WW II. Peaceful Avians looked to the Red Raven for salvation. He tried to convince his people that the humans would crush them, but they refused to listen. Even after he destroyed the warrior class and outlawed the Bloodraven Cult. Desperate to save them, he put the entire race into suspended animation for 20 years. After separating the military complex from the rest of the continent in the sky, he submerged it into the depths of the Atlantic. Red Raven revived himself and rose the complex according to a pre-arranged schedule. That was just as the X-Man known as the Angel flew overhead. Believing that the winged mutant was one of the bird-men as well, Red Raven made contact. Discovering instead that Worthington was a mutant, the two fought. Red Raven hoped he could keep the existence of the bird-men a secret. Red Raven set the Angel adrift on the ocean and returned himself and his people their watery slumber on the ocean floor. Not much later, an undersea earthquake disrupted the Sky Island. It released a capsule containing an artificial duplicate of the Red Raven. Namor the Sub-Mariner sought out the Red Raven, hoping he would find an ally against the polluting surface-people. Learning that the body of the Red Raven was found in its cryogenic tube by the humans, Namor sought him out. The construct was revived, but Namor found that the man he had once considered an honored comrade had gone insane. The two battled publicly before returning to the sunken military complex. Its rocky exterior belied the vast importance of the mound’s cargo. After telling Namor the plight of the bird-men, the Red Raven replica attempted to revive the Avians to once more do battle on mankind. However it appeared that the earthquake damaged the suspended animation capsules. The entire race of Avians had died, never having the chance to wake up from their artificial sleep. Now fully insane from grief, the Red Raven robot lashed out a control console with his metal wings. It started a fire that caused Sky-Island to explode. Sub-Mariner had escaped, but the grieving Red Raven was seemingly killed in the explosion. A few months later while Bruce Banner, the Incredible Hulk lost in battle to Bruce’s once and future love Betty Ross-Talbot. Back then, she was trapped in the form of the gamma-powered Harpy. 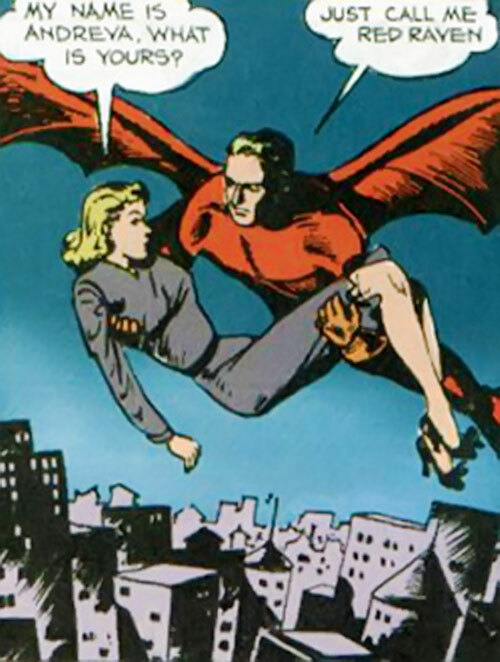 As the Harpy, Betty used her powerful wings to carry the defeated Hulk into the sky. Some eight miles into the sky, curious eyes watched the winged creature. The Bi-Beast was a creation of the bird-people, charged with double duty as protector of the floating continent, and preserver of knowledge. Though sharing one body, the two heads of the Bi-Beast have very different personalities and posses very different wisdom. The upper-skull- brother possessed the Avian races knowledge of warfare and battle, while the lower-skull-brother was the repository for the cultural history of the bird-men. After the Red Raven android seemingly “killed” the entire race, the Bi-Beast took on the responsibility of preserving the now-abandoned home of their masters. Witnessing the winged form of the Harpy, the upper-skull-brother was reminded of the bird-men, and wanted to get a closer look. The Bi-Beast then used the Avian technology to draw the two gamma-beasts to the island. In the thin atmosphere, the Hulk reverted to his alter-ego, scientist Bruce Banner. While the Bi-Beast found the Harpy to be an intriguing curiosity, he/they put Bruce Banner to work repairing the scientific equipment left behind by his/their masters. Banner used the equipment to cure Betty, but the evil MODOK sent AIM to invade the Island. As a result, the Bi-Beast was forced to destroy himself and his home to stop them from stealing technology. As Betty and Bruce escaped, the Bi-Beast recorded its knowledge into a second Bi-Beast body. This new incarnation has since encountered the likes of Thor, Quasar, and the Hulk repeatedly. Sometime after the destruction of the Sky-Isle, a neophyte hero named Nova ran into some trouble with a winged mad scientist, the Condor. Little did Nova realize that the Condor was actually an exiled member of the Avians. After many encounters with Nova, the Condor was transformed into an actual condor by the ancient wizard, the Sphinx. Some years later Namor, now CEO of Oracle Inc., took it upon himself to excavate the destroyed military complex. His goal was to use its technology to find solutions to the world’s problems. Seizing the opportunity for new, unknown science, Diablo, the Master of Alchemy, tricked Namor into allowing him access for a “good” reason. Sensing the impending doom presented by Diablo, a mysterious young girl left her home on another floating island, the Aerie. Her goal was to stop the madman from destroying civilization. Her name was Dania, but she took the name of her father,the Red Raven, and was created from the genetic material of the original Red Raven (and apparently an unknown Avian female). Thus, she left her solitary home, the smaller Sky-Isle known as the Aerie, for the first time. Red Raven II made Namor realize the folly of his ways, and the two were set to stop Diablo’s machinations. But he had an ace up his sleeve. He called forth an army of “dead bird-men” that he claimed had been sitting at the bottom of the ocean all of these years. In the end, the heroes prevailed and Diablo was sent to lick his wounds (or more accurately, his healing-potion laden mustache). But the complex was completely destroyed. Before flying off to the hidden sanctuary from whence she came, Red Raven II scolded Namor for trying to pick at the bones of her people’s lost civilization. As it turned out, the reanimation of Diablo somehow caused the Bird People, including the original Red Raven, to truly revive. With them, the true Red Raven once more claimed his place as the chosen leader of the Avian race. The artificial construct had been destroyed in the battle to defeat Diablo. Collectively, they constructed a new Sky Island and returned to their isolationist ways. Not much later Nova, now a little more experienced, again ran afoul of the Condor. Over the years, Condor had found a way to regain some semblance of his old form, but was left with an inhuman looking body. Nova, with the aid of the Fantastic Four, was able to capture him and took custody of a wide array of his Avian technology, forbidden by ancient law from coming into the hands of mankind. This event provided a catalyst for the original Red Raven. He saw the capture of an Avian citizen, even an evil one, as the last straw, and chose this moment to strike back at mankind. He launched a massive attack against New York City, which took place when most of the city’s heroes couldn’t respond. One goal was to capture the Condor. Their true Sky-Isle was massive, beautiful, and technologically centuries beyond anything mankind could accomplish. Their warriors were armed with Avian technology, and a growing hatred for the ones responsible for filling their skies with smog. Alerted to the danger, Nova went to stop them. He confronted Red Raven himself, and his protector, the Bi-Beast. Before the situation could escalate, Nova convinced the bird-king to call off his attack, and rethink his methods of dealing with mankind. Impressed by the young hero’s restraint, Red Raven returned to his hidden home, and the Condor remained to rot in a human jail. Shortly afterwards, the Bloodraven Cult opened a dimensional gateway for an Entity that would destroy the universe. But with the aid of the Defenders Red Raven and the Avians were able to seal the portal using Sky-Isle itself. Right after that, the four founding Defenders, who had been enspelled to bring to the surface their darker natures, renaming themselves The Order. They seized control of the Earth with Sky-Isle as their headquarters. The Avians were once again placed in suspended animation until the remaining Defenders were able to break the curse and thwart Yandroth’s resurrection. The Red Raven and the bird-men, including the second Bi-Beast and Dania, now live apart from mankind again, eight miles high, on their island in the sky. I’m reasonably sure he has one. In his youth Red Raven was a rather bland fellow but his experiences during the war seem to have effected him badly. He is now rash and very short tempered with little consideration or empathy for non-Avians. Perhaps he needs to visit Namor’s shrink or migrate to the Image Universe. When he was a young child the future Red Raven happened across a Thanagaran scout ship. Curious, he slipped aboard the spaceship and became an unwilling stowaway during the return voyage. Unwilling to reveal themselves by returning the child he was raised by their ruler as his own child. Upon reaching adulthood he decided to return to Earth and learn about the people from whence he came. Unfortunately he arrived in the middle of WWII. Although he fought on behalf of the Allies he was deeply effected by the senseless carnage of the war. He returned to Thanagar and began agitating for an invasion of Earth. Something that finally came to pass nearly four decades later. Driven to the brink of insanity by the failure of the Terran Invasion he began manifesting metahuman powers which allowed him to tap into and control Nth metal on a galactic scale. This caused the floating cities of the Thanagarans to crash. Calling himself the Hawkgod he gathered various heroes, including the golden and silver age Hawkman and Hawkgirl, which he called his Avatars and disappeared. 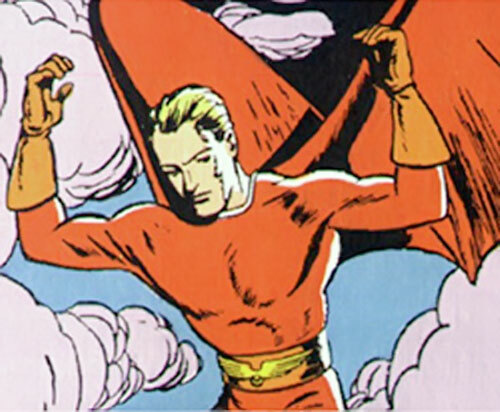 After Zero Hour Red Raven reappeared as the ruler of a vastly changed Thanagaran Empire claiming that the earlier “Hawkgod” incident was but a ruse. When the JSA arrived on Thanagar he had them captured but was defeated by Carter Hall. He had been returned through an interdimensional portal opened by the outlawed Bloodraven Cult which they called the Well of Souls. 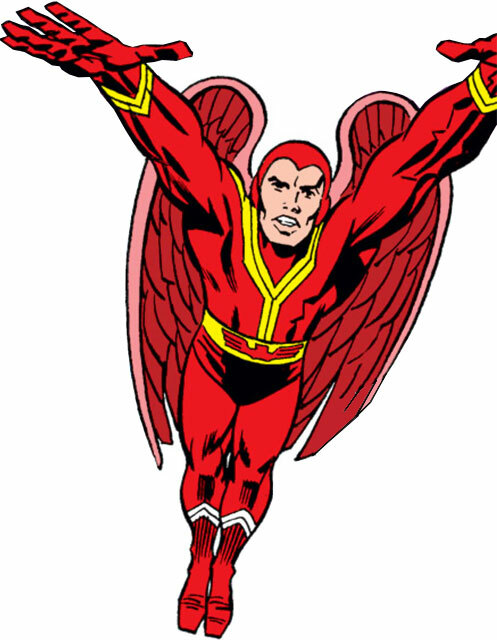 Alternatively… In the DCU the Avians would be Thanagaran military outpost stealthily observing Earth. After WWII they decided the human race was a threat and that the time was ripe for an invasion. Red Raven obstructed these plans and sank the military complex just as in the Marvel Universe. When the complex finally surfaced Red Raven encountered the Silver-Age Hawkman who tried to convince him that it would be safe to awaken the others. Unwilling to risk the human race, Red Raven once again sank the complex. Some time later the villain Black Manta found the complex and brainwashed the dormant Red Raven before awakening him and sending him against Aquaman. The battle between the two accidentally resulted in the death of the Thanagarans and Red Raven. Recently Ra’s Al Ghul discovered the site and turned it into one of his headquarters complete with Lazarus Pit. Thus, he could use its technology for his ecowar. But he was confronted by Aquaman and the modern Hawkgirl. Ra’s Al Ghul was defeated and his Lazarus Pit shattered releasing its contents to resurrect Red Raven and the Thanagarans. Effected by the Crisis-induced alterations to Thanagar, Red Raven was now hostile and combative and was a prime leader in convincing a number of alien races to invade Earth. Area Knowledge (Sky-Isle), Credentials (King of the Avians, counts as Government – High), Expansive Headquarter (The Aerie). Super Breath represents flapping his wings to create a strong wind and thus requires wingspace (-1). Flame Immunity doesn’t protect wearer unless the attack is successfully Blocked. Wings can be used for Blocking. Wings can be concealed under normal clothing (Insta Change Advantage)]. Avian Ray Gun [BODY 05, Ammo: 20, Laser Beam: 07, R#3. Although not a regular part of Red Raven’s armament he has been known to carry and use a pistol of Avian design and manufacture]. Mace [BODY 08, EV 04. After he becomes the leader of the Avians Red Raven often wields a mace]. Helper(s): Sébastien Andrivet, John Colagioia, Firebomb , Dan, History partly from www.geocities.com/SoHo/Atrium/4711/redraven.html (defunct) and www.geocities.com/SunsetStrip/4775/rraven.html (defunct), and marvelbook.topcities.com/rtuw/rraven.htm (defunct). 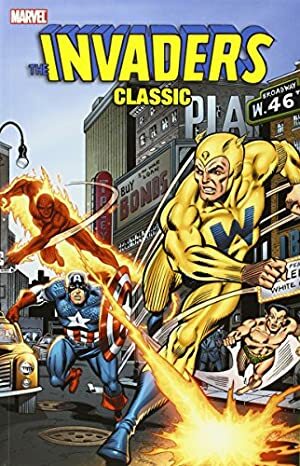 Source of Character: Timely and Marvel Comics.